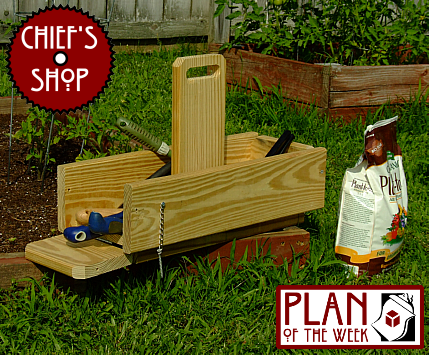 The Chief’s Shop Garden Tool Tote features a drop down end to allow for long-handled garden tools or for harvesting large vegetables. The narrow width makes it easy to carry along your side, as it won’t knock into your leg as you walk. Watch the video at left for project how-tos.